After the mass of events in April, May has been a relatively quiet month on the home front, although as reported below our overseas contingent has been in the thick of the action. Things change at Queen’s Birthday with the final round of the SuperSeries, the ANZ Test Match and the School’s Trials all taking place, followed a few days later with Round 2 of the World Cup in Norway and Sweden. We then build towards JWOC and WOC. WOC2015 also looks to be busy on the meeting front with IOF calling an Extraordinary General Meeting to discuss the proposal to split WOC into alternate forest and urban championships. I list some of the relevant comments that I supplied to ONZ for their submission on this below, but notwithstanding this it will be very important for us to be represented at the EGM to ensure that the voice from this end of the world is at least heard. Largely at the request of the Australian’s the Test Match at Queen’s Birthday has changed format a little with the U23 teams now running the M/W20 courses, and indeed effectively being Junior teams. The organizers plan to interleave the ANZ competitors and send them off at the end of the relevant starting blocks. This, with a commentary, should provide suitable excitement. The teams are of 3 in the men’s grades and of 5 in the women’s (although at this point New Zealand only has 4 in W20). Please provide them with lots of vocal support. Just a reminder that the Australian team will be arriving in Auckland on Monday 25 May and will be training in Woodhill Forest on both the 26th and the 27th, and then holding some sprint training on Thursday 28th. They are staying at Piha Mill Adventure Camp (Phone: 09 8370494) and will be meeting Rob Garden for access to Woodhill at the Restal Road entrance at 10 am on Tuesday 26th. As indicated earlier any Kiwi’s wanting to join them are welcome. The best bet may be to phone Nick Dent on 0428251786 (or if his Aussie phone doesn’t work, Rob). This finishes with the round at Queen’s Birthday. Current standings have been published earlier and these will be updated throughout the weekend. There will be a short presentation on Monday afternoon when the leading positions are finalised. I have already started thinking about suitable events for 2016. I would like to keep the Super Series in the February-June time frame but it has been clear this year that rounds outside long weekends have a relatively poor attendance. This will reduce the number of rounds from 5 to 4 with the JWOC Trails weekend dropping off as this was poorly attended by elites. Talking of the JWOC Trials, a request has gone out to clubs to consider hosting these for 2016. To keep them sufficiently away from the Easter the preferred dates are the weekends of either 27/28 February or 6/7 March. It will be very useful if we can lock this in early on to provide some certainty for likely trialists (unlike this year!). As I reported on the ONZ website there was contingent of New Zealand elites at the Tio Mila Relays in Sweden…. 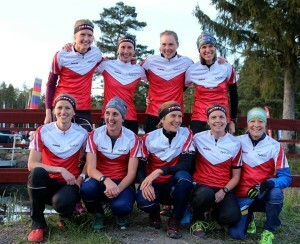 “Six of New Zealand’s top orienteers were in action at the weekend at the Swedish TioMila relays. With over 300 10-man teams in the all-night men’s relay and a similar number in the 5-leg women’s race, the Kiwi contribution amounted to no more than 0.1% of the field, but was not insignificant in performance. The men’s race started at 9.30 on Saturday night and, totalling about 115 k in length, took the top teams just over 10 hours. Even with the short northern nights several of the early legs were in the dark. This included both legs 3 and 4 run by Toby Scott (OK Linne 5) and Ross Morrison (Rajamaen R 2) respectively. Not surprisingly, Toby’s 16.5 k took him just over 2 hours, while Ross’s short (by comparison) 8.6 k was cut out in just under the hour. Pride of place, however, went to Tim Robertson on the last leg for Fossum IF 1. This was 17.5 k, albeit back in the light of Sunday morning, and Tim’s 1 hr 50 min saw his team finish in a highly respectable 26th place. Matt Ogden was also scheduled to run the last leg for the highly fancied OK Linne top team, but after a mispunch on leg 3 the team decided to retire rather than continue on through the night. Amazingly, after 10 hours of racing the final result came down pretty well to a sprint finish with IFG Gothenburg holding out Halden SK by a mere 3 seconds! 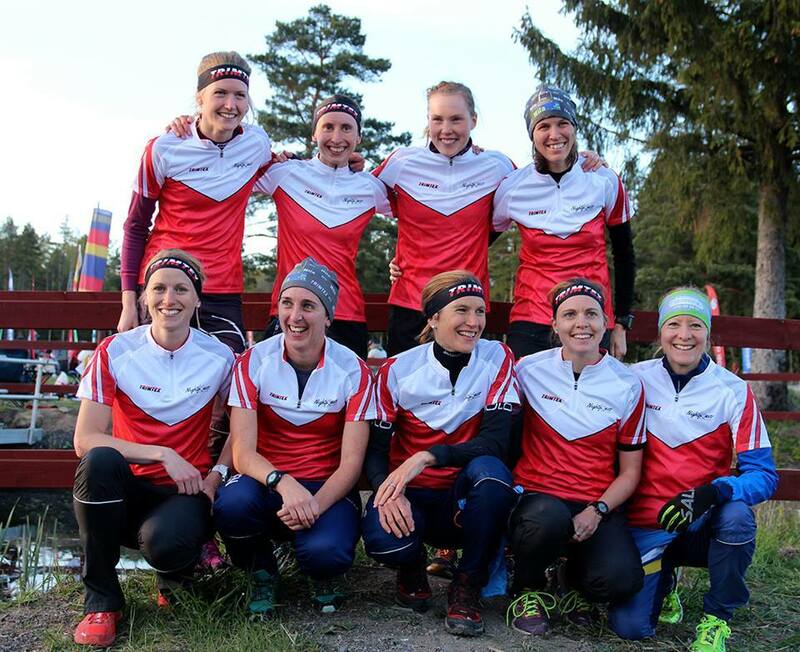 The women’s race, only 40 k in length, was run of Saturday afternoon and was not quite as close as the men’s, with Domnarverts 1 heading Jarla Orienteering home by nearly 40 s in just under 4 hours. Kate Morrison, on the first 7.3 k leg for OK Linne 4, was round in a highly respectable 49 minutes. Lizzie Ingham (Halden SK 2) drew the long 4th leg (10.5 ), which had no forking, getting through in just over 65 minutes, with the team finishing in 23rd place. Not satisfied with this Lizzie also ran leg 7 (another 10+ k) of the men’s race as part of an international women’s team (Nightfoxes International) containing, among others, Simone Niggli, Tove Alexandersson and Ida Bobach. Although finishing in a time that would have seen them just outside the top 100, they didn’t register as Tove, of all people, mispunched on leg 3! Since Tio Mila Matt and Kate have run in a series of Swedish League races. Matt finished a very creditable 20th in the sprint only a minute behind Jonas Leandersson. He was little further behind Thierry Gueorgiou in finishing 53rd in the middle distance. Kate also ran the sprint and middle races finishing 59th and 37th respectively. The second of the really big international club relays takes place in Finland over 13/14 June. The 4-person women’s relay (Venla) is on the Saturday afternoon and is followed over Saturday/Sunday night by the 7-person men’s race (Jukola). As with Tio Mila there should be plenty of New Zealand interest. The following notice was posted on the IOF website on 12 May. “In accordance with the IOF statutes, Council members have asked President Brian Porteous to call all members to an Extraordinary General Assembly. The Extraordinary General Assembly will be held on August 6th, 2015, in conjunction with the World Orienteering Championships in Inverness, Scotland. Although the proposal has not yet arrived the original discussion document, which comment on was asked for, outlined having an Urban WOC and a forest WOC in alternate years. There were several possible options but basically the Urban WOC would include a Sprint, Sprint Relay and Knock-out Sprint, whereas the forest WOC would include Middle, Long, Relay and probably some kind of first to finish race. One of the main premises for proposing this seemed to be that it would make it easier for smaller nations to host a WOC. My own opinion is that that is unlikely as what prevents nations like New Zealand from ever hosting a WOC is not the complexity of the present WOC programme but the list of requirements such as live TV coverage etc. The basic idea may have some merit and I am sure there is a diversity of opinions even within ONZ, but my main concern, however, was that it still seemed to be on the cards that the forest WOC would have quotas in the Middle and Long distance races. This, again in my view, might well mean that Group 3 nations (i.e. one runner in each) might well find it hard to put teams together as who would one to travel around the world for 1 race, especially if that was only a relay? Anyway, watch this space, and as I may well be the one who attends the EGM, let me know of your strong opinions. Again as previously notified, Michael Wood is looking to share mapping jobs with interested elites/top juniors including passing on his extensive knowledge to the next generation of mappers. Michael’s original email is below. Supplementary to that message Michael Croxford has also indicated that Nelson OC may be able to provide some similar support.